The big day is fast approaching. You are ready to start that exciting new project on your home or business that will give it a fantastic makeover. Because you are a smart person, you have planned all the details in advance — including what to do with all the debris this creative destruction and construction are going to create. You have worked out every last detail. Thanks to Dumpster Market and the comparison online shopping it offers you have found the right size container for your debris and lined up a trusted provider to deliver it to you on your specified date. As you’re waiting for your dumpster to be dropped off there are several measures you can take to ensure a successful delivery. Please follow the steps below to familiarize yourself with how best to prepare for your scheduled dumpster rental. 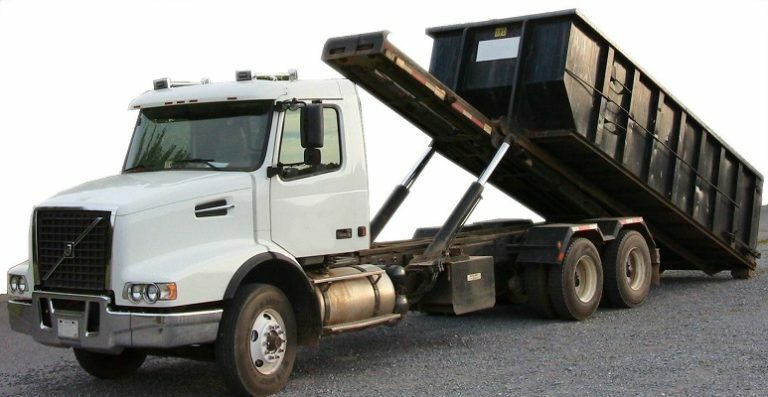 Following these free Tips for How to Prepare for Dumpster Rental and Delivery from Dumpster Market will ensure that everything goes according to your plan. Click here for more information about dumpster sizing. Do you still have questions about your dumpster placement? Don’t worry! Before your delivery we will assist you in preparing a safe space for your rental. Although most of our dumpsters are about 8 feet tall you will also need to account for the height of the roll-off style delivery truck. This requires a vertical clearance of 14 to 18 feet depending on the size of your dumpster. Your delivery area should be free of tree limbs, power lines and any other interference around this height. In addition to the height of the delivery truck, the delivery truck driver requires 50 feet of clearance in a straight line for parking purposes. With Dumpster Market you choose your exact delivery date when you process your order so you will know when to expect it. If your project requires the roll-off container to be dropped off early in the morning or at a specific time just indicate this in the “delivery details” portion of your order. If this is a strict requirement we also recommend calling either us or the dumpster rental company we’ve paired you with. The delivery trucks try to reduce their carbon footprint by mapping out fuel-efficient routes when delivering dumpster rentals. With enough advance notice, however, we can usually accommodate your desired delivery time. Be conscious of what type of debris your dumpster rental is intended for. Depending on its purpose and size, there are certain limitations as to what you can fill your container with. Familiarize yourself with what can and cannot be put into your dumpster here. What cannot be thrown away in my dumpster? Do you have questions? We have answers. Our expert staff is standing by to make sure that delivery, use and pickup of your rental dumpster goes smoothly. Instant-chat with a company representative by clicking on the green-and-white button on the bottom of this page or fill out and submit our question form from the contact pages. If you want to talk with one of our staff in person you can call us toll-free.